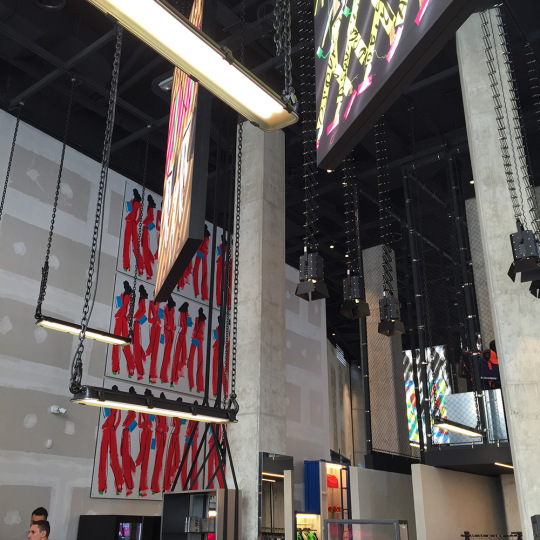 Bold, contemporary, and unexpected, the new Dsquared2 Area, a one-of-a-kind store unlike any of its existing counterparts, is breaking ground in the city where Dsquared2 presented its first collection 20 years ago. 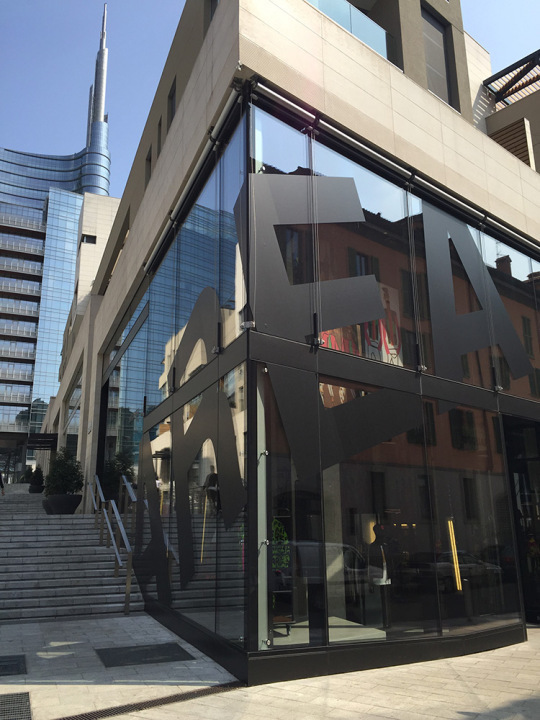 Positioned under the city’s glistening new skyscrapers at the top of Milan’s famed shopping street Corso Como, Dsquared2 Area is a striking contrast to other Dsquared2 stores, setting an additional new design blueprint for its global retail network. Opened on the heels of the brand’s twentieth anniversary show and celebrations, the store was curated and conceived by Dsquared2 founders and designers Dean and Dan Caten in collaboration with design studio storageassociati. “Dsquared2 Area marks a pivotal time for our brand, and it’s the perfect way to kick off our next twenty years. Dsquared2 Area has a modern Dsquared2 spirit, it’s fun and relaxed, it’s Canadian, it’s made in Italy, and it shows our collections in a new and exciting way”, the designers said. Spread out over 3500 sq.ft. to crowning one end of Corso Como, the store features two entrances, one on Via Vincenzo Cappelli and the other on Via de Cristoforis. Lofty 8 meter high ceilings, neon lights and industrial style fittings underscore the store’s warehouse style vibe. Concrete columns, stained concrete floors and bare stripped-back plastered walls reiterate the surrounds. Eye-catching interior design aspects include the moveable trolley display cases, hooded black spotlights that can be lowered or raised, vast suspended light-boxes and a caged upper floor built in the middle of the store. In a nod to the designers’ Canadian roots, Dsquared2 Area features a red maple leaf shaped carpet at the entrance and changing rooms are also modeled on leaf’s shape— visible from above. The interiors style is equipped to be versatile and mobile, allowing the layout to be easily changed and rearranged by visual merchandising. 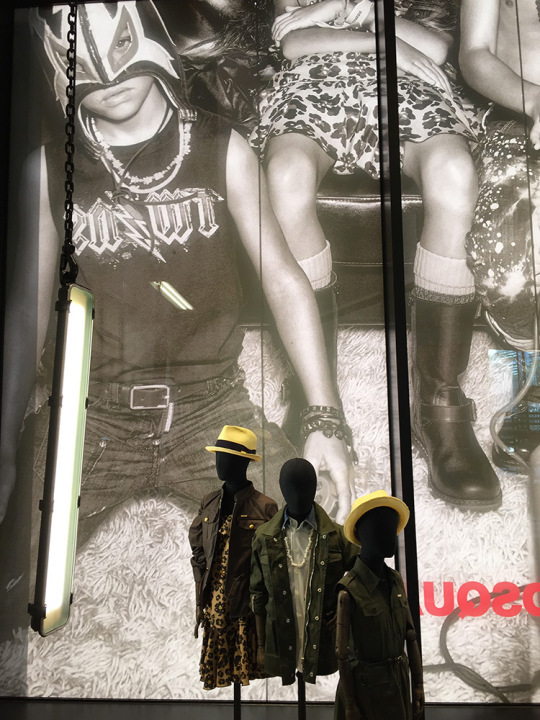 Dsquared2 Area houses extensive Dsquared2 collections including men’s, women’s, kid’s, accessories, fragrances, underwear and eyewear. 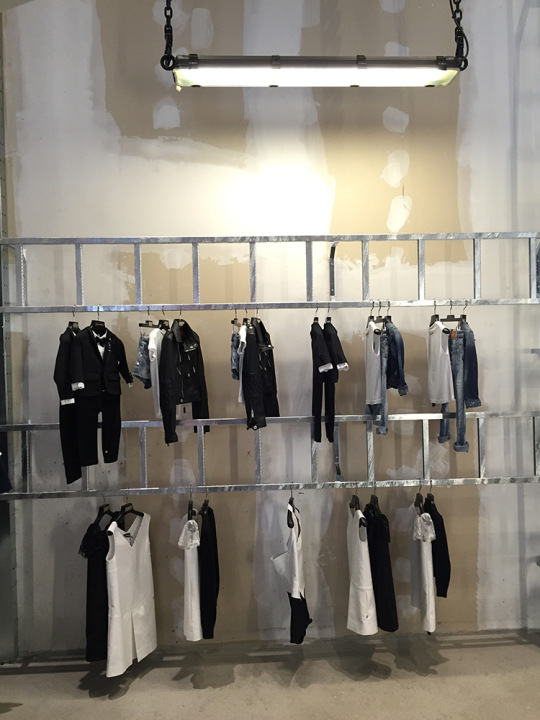 The ready to wear collections are arranged around the store’s ground-floor space, with sections dedicated to shoes and denim.